Home»Articles»Car Insurance»Do Autonomous Vehicles Mean The End Of Auto Insurance? You enter your car, set the air conditioning, select your music playlist, enter your destination in the vehicle’s GPS and it drives you there while you sit back and relax. Is that your idea of an autonomous vehicle? If yes, then it might take a few years for vehicles to reach that level of automation. When that happens, will it be the end of the road for auto insurance? Partial automation, High automation, Full automation are types of automation in a vehicle. The level of automation will determine the level of human intervention needed while driving the car. Full automation meaning no human intervention at all. A vehicle’s level of automation and human intervention will ultimately determine its risk profile and insurance premium. Fully automated cars will play a huge role in enhancing road safety. As they do not require human intervention, they will reduce the possibility of human errors while driving. Drinking and driving, texting and driving, not following speed limits, neglecting traffic signals, rampant lane changing, etc. are common human errors that cause road accidents. Automated cars will negate such errors. However, they can cause accidents due to technical errors. Thus, automated cars might not be 100% safe as they are vulnerable to technical risks. Autonomous cars will reduce the number of road accidents, leading to less number of accident-related claims. This will have a domino effect on the premium charged as well. With fewer accidents and fewer claims, the premium demanded by car insurance companies will also reduce. Currently, the driver of a car is held liable for the damages arising due to a car accident. But, who’s liable in case of autonomous cars? Probably, the cars. In case of full automation – where it doesn’t matter who is sitting inside the car – it is likely that a car will be held responsible for ‘driving’ and not the ‘driver’, who is merely a passenger in such cases. Usually, a person’s driving history is taken into account while determining the car insurance premium along with other factors. This will become irrelevant if the car is going to be held liable in case of a mishap. The extent of technology and safety measures in an autonomous car will have a greater impact on determining the vehicle’s insurance premium in the future as compared to the driving history. In these cases, driving history will not matter because the driver doesn’t matter. What About Theft and Calamities? As of now, a Comprehensive Car Insurance policy not only insures your car against accidents, it also covers car theft and calamities. Just like the vehicles manufactured today, autonomous cars will also be vulnerable to car theft, and natural and manmade calamities. Auto insurance will certainly come in handy in case an autonomous car is stolen or is damaged due to a calamity. There is no denying the fact that the auto industry is changing. Consequently, the auto insurance industry is also adapting to technological advancements and will continue to do so in the future. The auto insurance industry is not going extinct but it will evolve to meet its changing requirements. 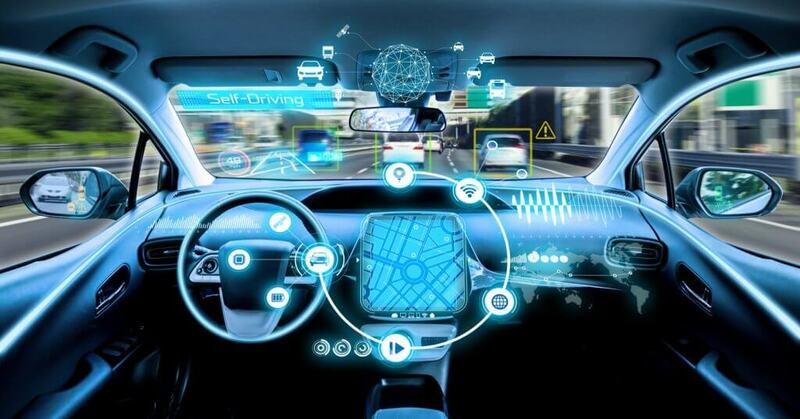 The growth of autonomous vehicles will not mean a dead end for the auto insurance industry but it will certainly be a diversion in their journey of serving the customers.